There’s lots of discussion these days on the future of the book. Everyone seems aware that digital reading and publishing is changing the way we write and read and publish, that it’s changing what we’ve assumed for a long time, namely that books adhere to paper and pages and bound volumes of various kinds, so lovely to hold and open and read through and close again and set on shelves. I’m not here today to offer my opinions on these changes (though if you’re interested in the future of books topic, there’s a series of writers, booksellers, publishers talking about it at the online Winnipeg Review), but rather to mull on an art exhibition we attended last evening. 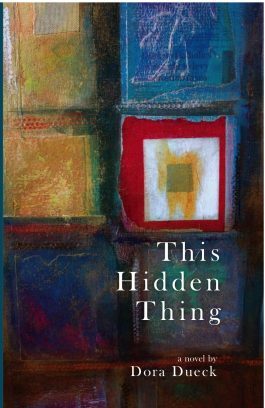 “Bound by Nature,” at the Mennonite Heritage Centre Gallery in Winnipeg, May 6 to June 18, reflects on books in a very different way. Officially it’s described as an exhibition “inspired by nature, landscape and books” and it’s all that (and a really fascinating juxtaposition when you are made to stop and think about it) but it was “book” at the heart of the pieces that especially drew my attention. So, for example, book spine covers used to create a series of “horizon” landscapes by Deborah Danelley reminded me of the world we see but also what one sees in books. They made me think of those large books I’ve known, yes with their cloth/paper spines fraying and loosening, maybe books of art or photos, a treasure of things and also a kind of borrowing from one medium to the other. There’s a whimsical display called “Wildflowers,” by Deborah Danelley and Carol Leach, featuring what I can only call a “bed” of flowers fashioned from the pages of recycled garden/landscape/nature books. Erwin Huebner has a number of interesting pieces that reflect on the “books” of small places like eggs (think of all the information an egg contains) and the stunning color and shapes of substances seen via the microscope. Other artists had made accordion books and match box books; there was richly textured paper. If a seed becomes a tree, does the tree remember the seed? If a tree becomes a book, does the book remember the tree? 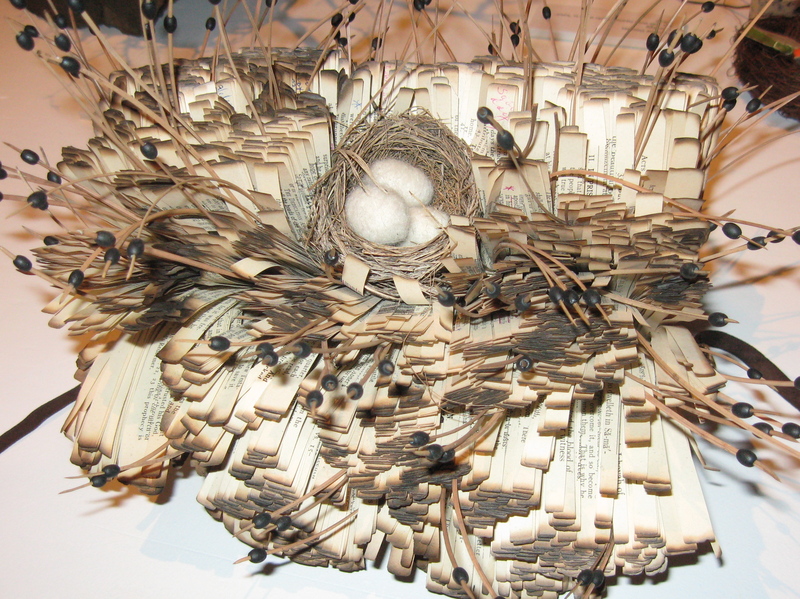 If a book becomes a nest, does the nest remember the book? Where can I find a nest that remembers the seed? I left the exhibition with a sense of the seamlessness of story/book and nature, of book as memory, of book as something something primeval, even primitive, vulnerable though resilient. I left feeling, strangely perhaps, optimistic about the future of the book. Note: Canvass has a statement about the exhibition, and on the third page, images of some of the other work. 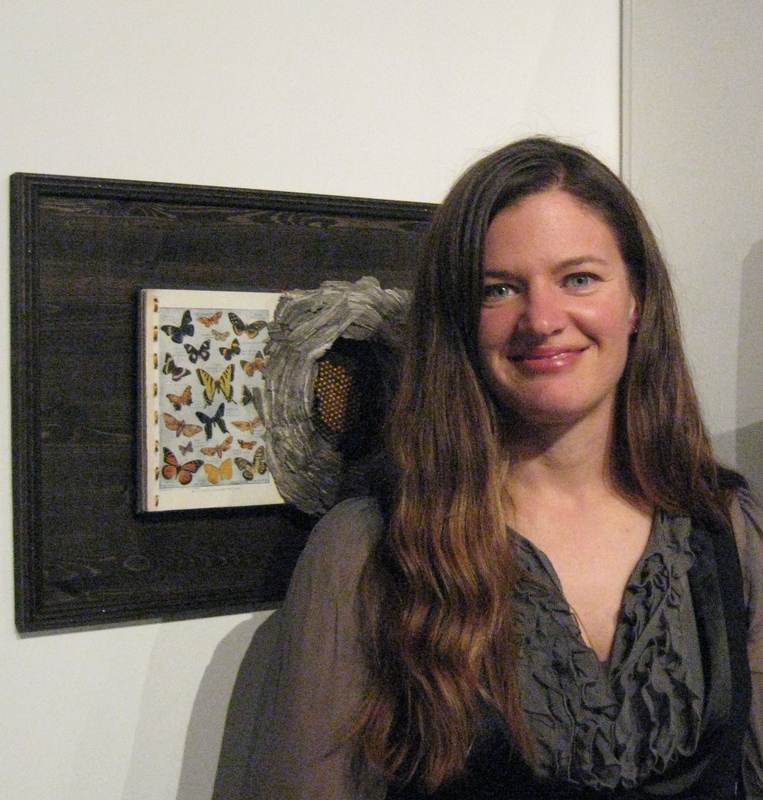 Eleven artists participated, and the exhibition was curated by Deborah Danelley. We attended the opening of an exhibition of art by Ruth Maendel at the Mennonite Heritage Centre Gallery in Winnipeg last evening. Ruth is a young, local artist; she’s currently working for the government and doing her art on the side. Ruth does all manner of interesting work. Wonderful photographs of tiny and unexpected things, for example — things like tiny mushrooms on a wood chip, bubbly scum in a bucket, ladles hanging in a camp kitchen, a slice of grapefruit with its luscious veins (title: “Behold! The Majestic Morning Assembly”), close-ups of gas flames in an oven (title: “Northern Lights in an Oven”), or flames curling around a kettle on the stove. When she notices and focusses on them, then brings them to our attention, we realize just how unique and wonderful they are. 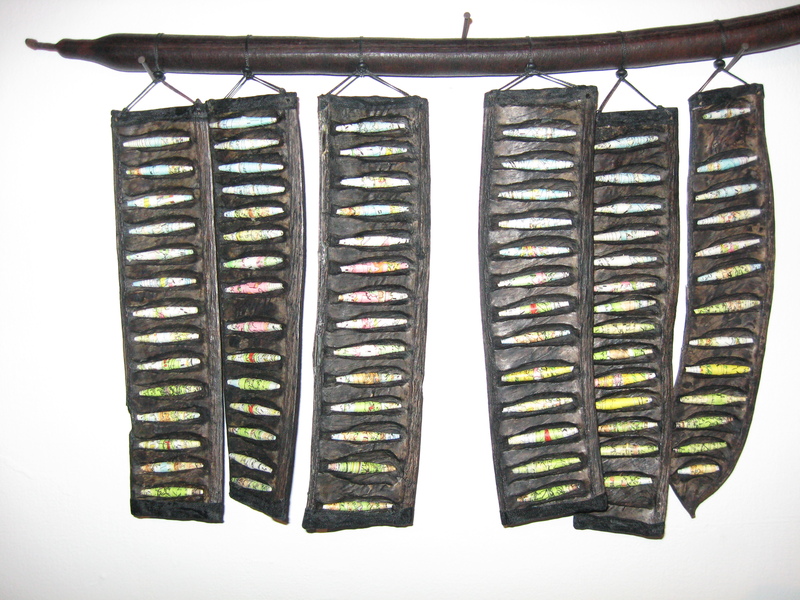 She also does free standing, installation-type work, much of it clearly labour intensive. 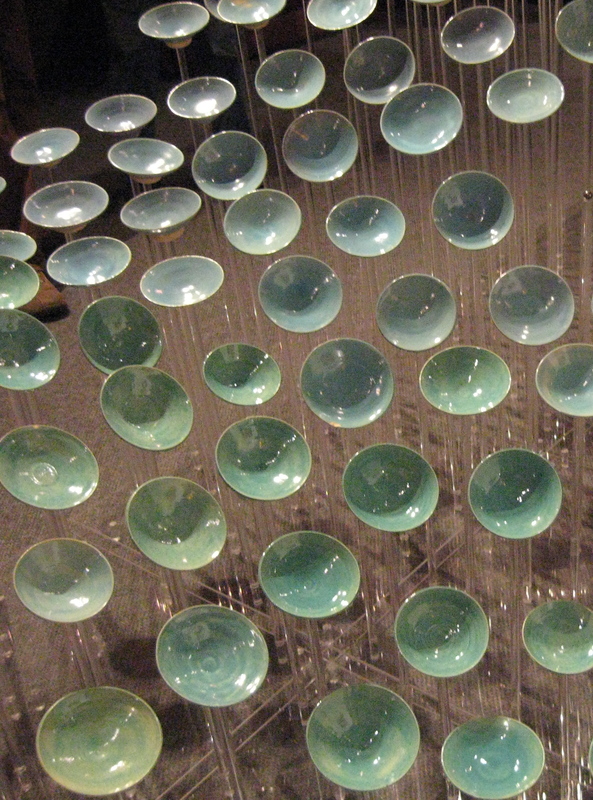 One of the central pieces here was “Wave” (a portion of it shown below). She wanted to recreate the look of water she said, and was also thinking of God’s Spirit, how it’s described as water, and of people like cups, sometimes receiving, sometimes pouring into other lives, but being together. — I asked, and she said it was fine for me to include some pictures here, but I’m a point-and-click kind of photographer, so these should be considered poor representations of the actual work — the piece has an undulating effect and more vivid colour than my photo is capturing. But it does communicate something of the exhibition’s title — “Congregational Fantasies.” For the artist’s photo of the piece, see here. “I’m drawn to things in groups,” she said. She’s also clearly fond of layers and doors and tunnels. 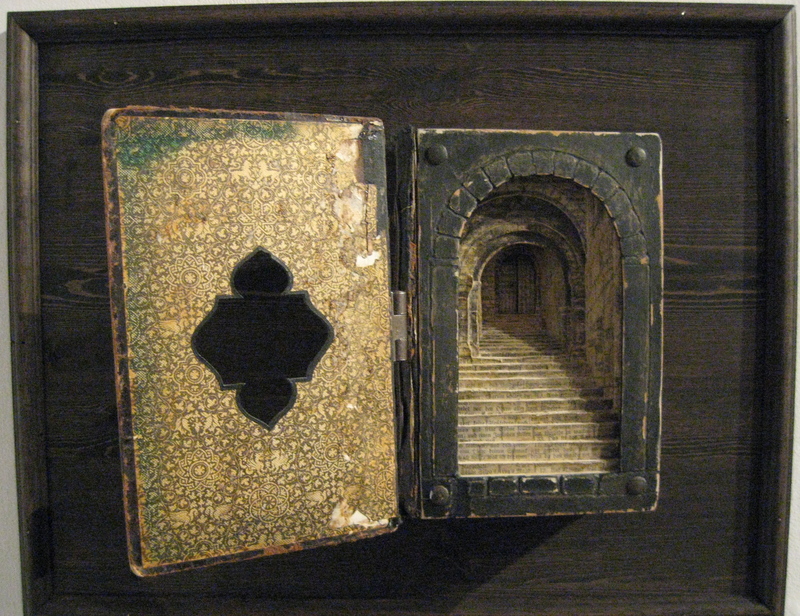 One of my favourites pieces was “Tunnel book,” constructed of an old German Bible. Hard to see on the photo below, but it’s got tiny doors at the very back. As if to suggest that beyond the front door and the steps (made of pages of words) up and in, deeper and deeper, there’s even more, mystery and depth and surprise. 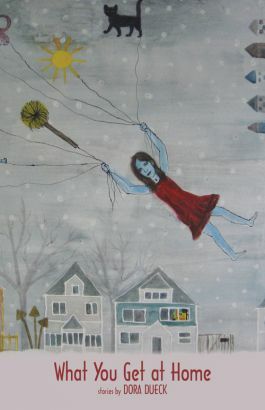 Ruth Maendel’s art is fun to view but also profound in its effect. You realize, as you mull over it later, that you’ve seen the ordinary made as great and amazing as it really is. And you realize, again, that you’ve got to start really looking at what’s right in front of you. At the same time you’ve seen great and amazing truths (Spirit, community) made “ordinary” — accessible, that is — in stories of ceramic bowls and layers of paper.